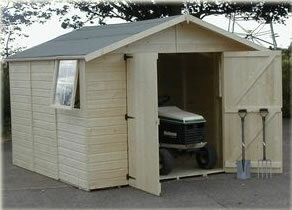 This 9' (2724mm) wide, Apex double door shed is available in 6 sizes from 9'x6' up to9'x21'. There are two opening windows as standard on all sizes. Optional side roof extensions in 6' and 9' lengths. Optional extra windows.